Lauren Westin the Director of Global Digital Strategy for ACUVUE® brands will join us to discuss how she and her team built the global digital strategy for ACUVUE brands. Lauren is the Director, Global Digital Strategy, Acuvue® at Johnson & Johnson Vision Care, having ownership of the digital marketing strategy for one of J&J’s largest consumer brands. She has brand, product and channel marketing experience, including a mix of global and local market roles having lived and worked in France, England and the US. At J&J, she is responsible for setting the global vision and roadmap of the Acuvue social and digital platforms for both consumer and professional audiences, including governance, technology, and measurement and ensuring globally consistent digital communications. Lauren has oversight for all digital channels including Video, Mobile, Social, Web and Search to establish a robust Paid, Owned, Earned, and Shared framework. Lauren enables digital marketing to be strategically and efficiently embedded in the organization as part of Integrated Marketing Communications, resulting in greater value delivered globally. She is focused on delivering digital excellence in priority markets including US, Japan, UK, Russia, Turkey, Brazil, China, Korea, and Hong Kong. Johnson & Johnson is the world’s largest and most diverse medical devices company with more than 250 companies located in 60 countries around the world with 2013 worldwide sales at $71.3 Billion. Prior to joining JJVC, Lauren held the title of Senior Brand Manager, Digital & Social Media, at Nestlé Purina in London, UK. Nestlé S.A. is the world’s leading nutrition, health and wellness company with over $103B USD in sales. Nestlé Purina is a market leader in the pet care industry. During her time at Nestlé, Lauren was responsible for the growth of the digital operation, and the development and implementation of the category digital and social engagement strategy. There, she established structured frameworks for brands to enter the social media space and effectively engage with consumers on new platforms, strategically launching brands onto new platforms and minimized the impact from same brands in other geographic markets. Lauren also cultivated social communities in both scale and quality; doubling fans on Facebook for PRO PLAN Dog within the first three months of actively managing the community and grew total reach while holding the engagement rate at an industry high. While getting her MBA, Lauren started as Brand Manager for Newell Rubbermaid overseeing the Graco® Pack ‘n Play® and Car Seat categories, growing the market share by 3% as category leader. She began in a global role based in the Atlanta headquarters and then moved to an EMEA regional role based in the UK. It was during this time that Lauren was granted three inventor patents for designing the Day2Night™ Sleep System, an idea stemming from the discovery of an unmet consumer need in research. Lauren’s experience also includes working in Paris at a leading business school, founding an interactive marketing start-up, and writing the most downloaded white paper as a product manager at LSI Technology. 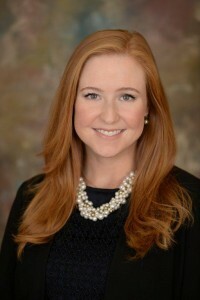 Lauren earned her Bachelor of Science in Business Administration and French at University of North Carolina at Chapel Hill and her MBA from the Goizueta Business School at Emory University. Lauren moved to Jacksonville with her husband Adam and their daughter, Anabel in February 2016. Most importantly though, she is a soon-to-be mother of two!